All in One Cell Phone & Tablet Stand Holder Lazy Bracket, Multiple Function DIY Flexible Rotating Phone Tablet Mount，Let's Get Your Imagination Started! Cell Phone Stand Holder From 4.7”-7.48” Length, such as for Samsung Galaxy S8 Plus S7 Edge Note 8, LG, HTC, Nokia Lumia, HUAWEI, etc. 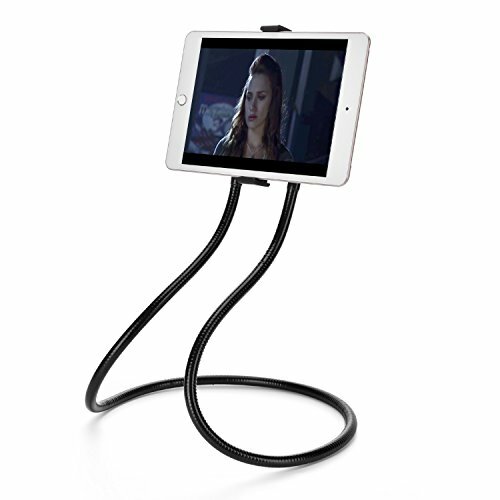 All Tablet Stand Holder From 4.7”-7.48” Wide,such as for Pad Pro 9.7" Mini Air 2 3 4, Kindle Fire, Amazon Fire, Google Nexus etc.